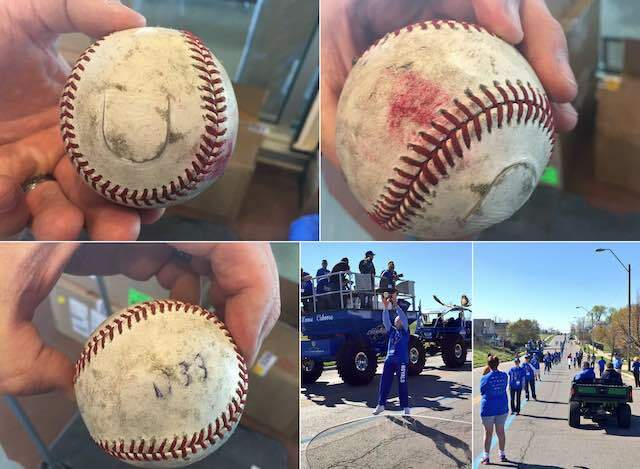 More than 2,000 fans helped set a new record in Kansas City Sunday by lining up for nine miles to complete the longest first pitch in baseball history–and did it for charity. 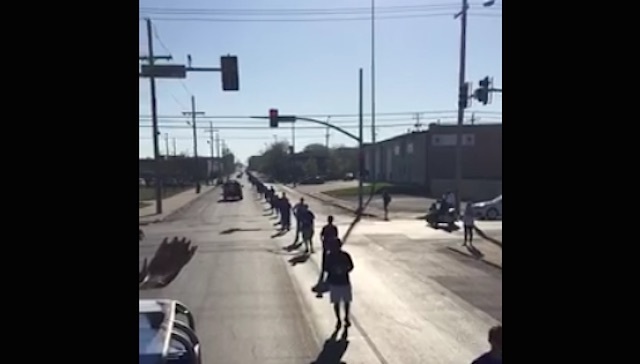 To kick off the Royals’ opening day, a ball was tossed hand to glove for four hours through the streets of Kansas City. Each participant in the Relay the Way event, donated money to the hometown team’s Urban Youth Academy charity, raising $100,000 for the organization. The Kansas City Royals won the World Series last year to become the 2015 reigning champs of Major League Baseball. These fans got a taste of their recent theme song, “We Are The Champions” as they relayed the pitch toward their home park. By the time the ball reached the park, it looked like it had lived through 20 years of play!